Home > unemployment > Top 13 Queens of Mass Layoff in the U.S.
Top 13 Queens of Mass Layoff in the U.S. The year isn’t over yet. More mass layoffs to come. The most recent company to announce four-digit layoffs was Cisco on Wednesday with 5,500 people on its list. It followed numerous other announcements of mass layoffs this year – particularly in oil-and-gas, brick-and-mortar retail, and tech. Since the oil bust began, there have been 195,000 job cuts in the US alone, according to Challenger, Gray & Christmas. Of those, about 95,000 occurred in 2016. They were concentrated in just a few states, particularly Texas. And it’s not over: there was a “resurgence” of 17,725 job cuts in July. Tech announced about 55,000 layoffs so far this year, including Cisco. The sector is getting clobbered by a sea change in technology, the shift to mobile, and the downward spiral of the entire PC ecosystem. And retail announced nearly 44,000, not including Macy’s still unspecified job cuts associated with shuttering 100 Macy’s stores. So 24/7 Wall St. interviewed John Challenger, CEO of Challenger, Gray. And digging into additional data, it came up with its list of the biggest layoff announcements in 2016 so far – “so far” because the year isn’t over yet. Layoff announcements can cover the global workforce, as in Cisco’s case. So not all of Cisco’s 5,500 layoffs are likely to happen in the US. And they may not necessarily happen this year. These things can drag out. For example, retailers generally want to keep their stores open and fully staffed through the holiday selling season and not shut them down just before. So here they are in reverse order of magnitude. Macy’s: 4,350 job cuts, plus. In early 2016, it announced about 3,000 cuts at its 770 stores, plus 1,350 back-office employees and customer service reps. Execs don’t get laid off. But 165 got buyout packages. This does not include the jobs that will disappear when it shutters 100 stores in early 2017, after having shuttered 41 stores last year. Macy’s, with its 157,900 employees, is getting clobbered by online retailers, and it’s seriously shrinking. Hancock Fabrics: 4,500 job cuts. A brick-and-mortar casualty. It first filed for bankruptcy reorganization in 2007 and emerged in 2008. In February this year, it filed again. But this time, reorganization failed. It is now liquidating its 250 stores, and everyone goes. Microsoft: 4,700 job cuts. Having botched its entry into mobile, and being stuck in the middle of the downward spiral of the PC ecosystem, it has been trying to get into the “cloud” business, like everyone else. To restructure, it has been on a veritable layoff binge over the past couple of years. With its 114,000 employees, there’s still some room left. Cisco: 5,500 job cuts. Old tech, yes, but outside the PC ecosystem. Its router business is beset with competition from China. So it too wants to get into the “cloud.” On Tuesday, with its stock trading at a nine-year high, it leaked that it would let go up to 14,000 workers, or nearly 20% of its workforce. On Wednesday, as part of its earnings report, it announced that it would lay off only 5,500. Suspicions immediately arose that the leak was undertaken to butter up the markets and keep the damage to a minimum. National Oilwell Varco: 6,000 job cuts. After having already axed 13,445 employees in 2015, the oilfield services and equipment provider with about 50,000 employees will also close 200 facilities. DuPont Pioneer: 6,000 job cuts, plus. This product of a merger between DuPont and Dow Chemical is now looking for the promised synergies and efficiencies. The initial step is for DuPont to cut $700 million in annual costs and 6,000 employees. DuPont has been shrinking its headcount for years. Back in 2011, it employed 61,600. At the end of 2015, it was down to 52,000. More job cuts are on the way to live up to the promise of a further $3 billion in savings. Weatherford International: 8,000 job cuts. 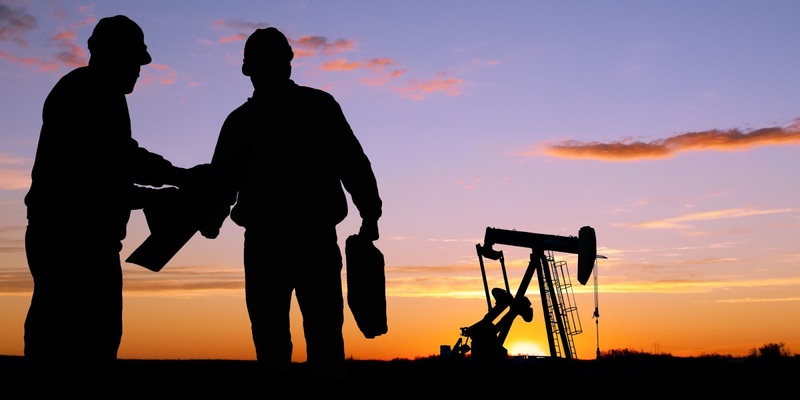 The oil field services company with 39,500 employees hopes to save $446 million per year. Bank of America: 8,000 job cuts, plus. Another well-greased layoff machine. Last year it shoved 10,000 people out the door. With 213,000 employees, it too has some room left to please the analysts. Since the Financial Crisis, it shrank its consumer division by 32% to 68,400 employees as of Q1 this year. It said in June that the number of employees in this division will drop “to the low 60s” soon. So more layoff announcements this year. Seagate Technology: 8,100 job cuts. With revenues in free fall, the disk drive maker with 45,500 employees is restructuring, again, to diversify its products and get the heck out of the downward spiral of the PC ecosystem. It’s trying to get into – you guessed it – the “cloud.” So a year ago, it bought cloud storage company Dot Hill Systems. Schlumberger: 10,000 job cuts. 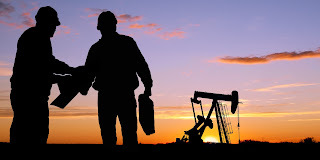 The oilfield services company had already cut 24,000 jobs since late 2014, but it wasn’t enough, and in January, with 95,000 people still on its payroll, and $1 billion in red ink, it announced another 10,000 layoffs, along with a good swig of financial engineering to make the results go down better. What stands out among these announcements? They’re company or industry specific: oil-and-gas, brick-and-mortar retail, and tech – all three of them deeply troubled. Well, OK, a bank too. Smaller companies in these and other sectors often lay their workers off quietly, and unless you’re working there, or know some who is, you’ll never hear about it.